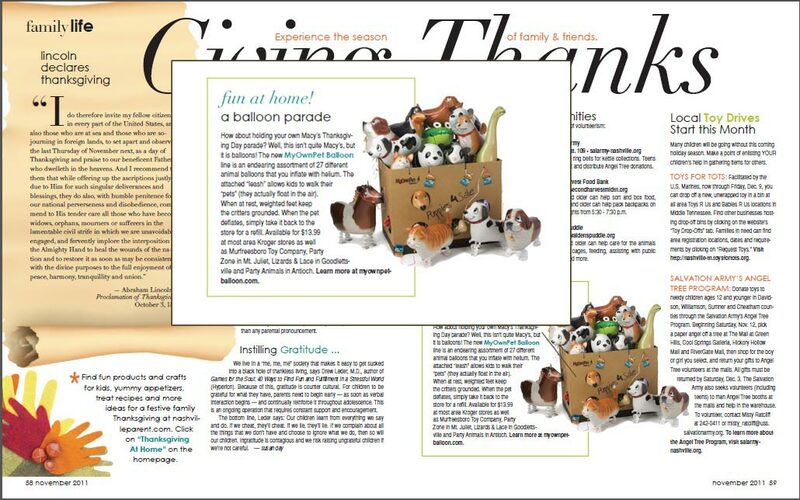 in an article exploring some ways to celebrate Thanksgiving. own Macy?s Thanksgiving Day parade?? 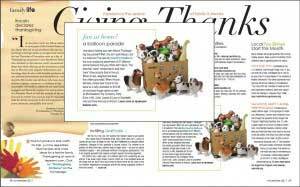 they suggest to those readers looking for ways to celebrate some Thanksgiving fun at home.? ?The new MyOwnPet Balloon line is an endearing assortment of 27 different animal balloons that you inflate with helium.? The attached ?leash? allows kids to walk their ?pets??. ?